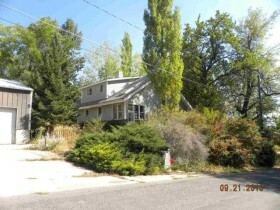 Springville Utah Fannie Mae Home for Sale! Fannie Mae Springville Homes for Sale; Springville Utah Fannie Mae Home for Sale!. Our search offers the best online, live search engine in Utah County. The search has listings of all Springville Homes, condos, and townhomes for sale. When you subscribe to our Buyer's Club you will receive daily emails of every new listing and price change within your search criteria. You will have free unlimited access to every home listed for sale in Utah County. Short Sales in Springville. You will be able to find the Fannie Mae and Freddie Mac Bank Foreclosures and HUD Homes on the first day they come for sale. Be the first to know when a great deal has arrived. Interior Feat: Closet: Walk-In; Disposal; Gas Log; Range/Oven: Free Stdng. What is Your Springville Utah Home Worth? A CMA is a Comprehensive Market Analysis that evaluates recent sales in Springville and provides you with an estimated price range for which your Springville home might sell in the current real estate market. In order to prepare a CMA, a local Springville REALTOR must view your home and compare your features to that of comparable properties. Paul Teasdale your local Real Estate Broker has been selling homes in Springville for 16 years. In fact, Paul has lived in Springville and currently lives in Mapleton, Utah. He has sold over 900 homes in Utah County and several hundred homes in Springville. He will give you a free accurate analysis of what your Springville homes is worth. How a Springville CMA is Compiled: CMA reports generally contain data on three types of comparable listings in Springville: Active, Under Contract and Sold homes. We generally try to stick to sold homes but sometimes will add active or under contract Springville homes if we can't find good comparisons. Active listings are homes currently for sale in Springville, UT; these will be your competition on the market, though the prices do not necessarily reflect actual market value since the seller can name whatever price they want. Under Contract are formerly active listings that are now under contract. While the actual sold prices of these Springville, Utah County Listings are not available until the sale closes, pending sales will give you an indication of where the market is headed; if your home is priced above the list of these pending sales, you may face a longer time on market. Sold listings are Springville homes that have closed within the past six months. Along with the pending Springville sales, these are the listings used by the appraiser to determine your home's market value. When examining comparable sales in Springville, UT, you should look at the listed homes that are closest to your own in size, shape, age, condition and location. These will help you to gauge the direction of the market and the factors that will be most important in determing your Utah County home's market value (and ultimately, its sale price). The CMA report is only one of the many tools available to the prospective seller; your Springville real estate agent should offer a more comprehensive understanding of the market in your area. Tell us about your dream home in Springville, Utah. Hire a Springville, Utah Realtor. Would you like a free CMA (Comparative Market Analysis) on what your Springville Utah Home is worth?